Competition between companies tends to be beneficial for the general public, but is this also true for competition between States in a world with global financial markets, low transport costs, and increasing migration? 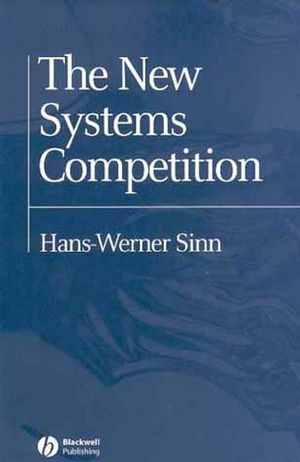 In this book, Sinn provides a solid economic analysis of the competitive forces at work and addresses how we should organize competition between systems so they will enhance the efficiency of these systems, as opposed to acting destructively on them. Provides a thorough economic analysis of the competitive forces at work between nations and governments. Analyzes a wide range of state activities, including taxation, public goods provision, income redistribution, environmental policy, safety standards, and competition policy. Addresses ways to organize competition so it will enhance the efficiency of these systems. Hans-Werner Sinnis Professor of Economics and Public Finance at the University of Munich and directs the international CESifo Research Network. He is also President of the Ifo Institute for Economic Research and Director of the Center for Economic Studies (CES) at the University of Munich. Professor Sinn has served as Chairman of the German Economic Association, taught at the University of Western Ontario, held guest professorships in various international universities, and has received honorary titles from the universities of Magdeburg and Vienna. He is the author of numerous books, including Jumpstart: The Economic Unification of Germany (1992) and has contributed to many scientific journals.